A one-minute view of eternity from someone taken too soon. 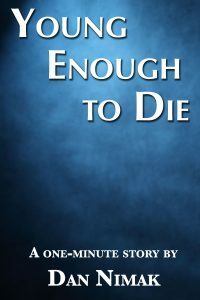 Young Enough to Die is a very short story, available only as a free kindle download. Click the cover photo above to check it out.